Packing for an upcoming move can often be a hassle. You have to find the boxes and packing materials that you need, organize each item, and then take the time to get it all together. Save yourself the trouble and have Nova Moving & Storage Ltd pack for you. It’s simple. 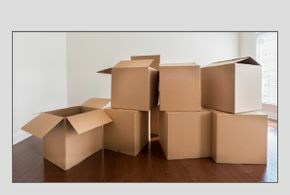 We can bring the supplies and pack all of the items you are looking to move. If you will need us to bring in supplies, there is a small cost involved, but there are also free packing materials available for some items. We will provide wardrobe containers as well as picture/mirror cartons for free! Packing breakable items is our speciality, so you can trust us with your most prized possessions and antiques. We can even disassemble and reassemble furniture and beds.